Greetings from Berkeley! I am happy to feature a post by an I-House resident who participated in our social media challenge this fall. Loyalty is her name and anthropology is her game. 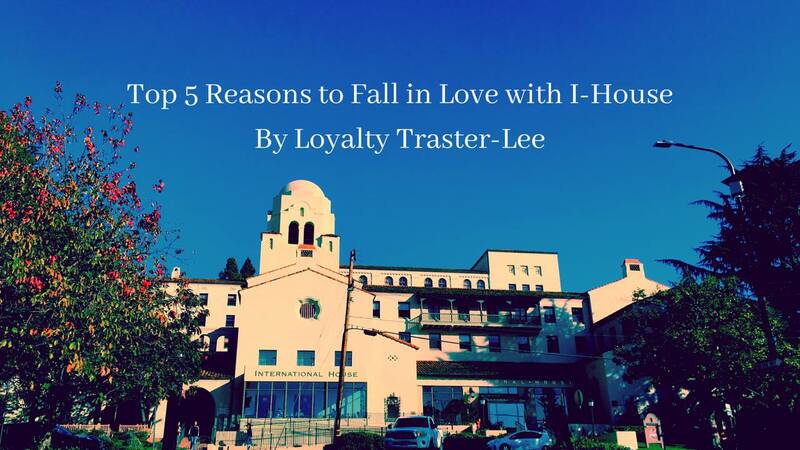 She did a great job capturing some of the reasons we love I-House. Enjoy. Some call love a chemical reaction made up of adrenaline, dopamine, serotonin, and oxytocin. Others, like the protagonist of William Goldman’s The Princess Bride, quip, “Love is many things, none of them logical.” Regardless, we can all agree that love is an important factor to happiness. Below are a few reasons why I love living at I-House, and why I’m happy to call this place home. 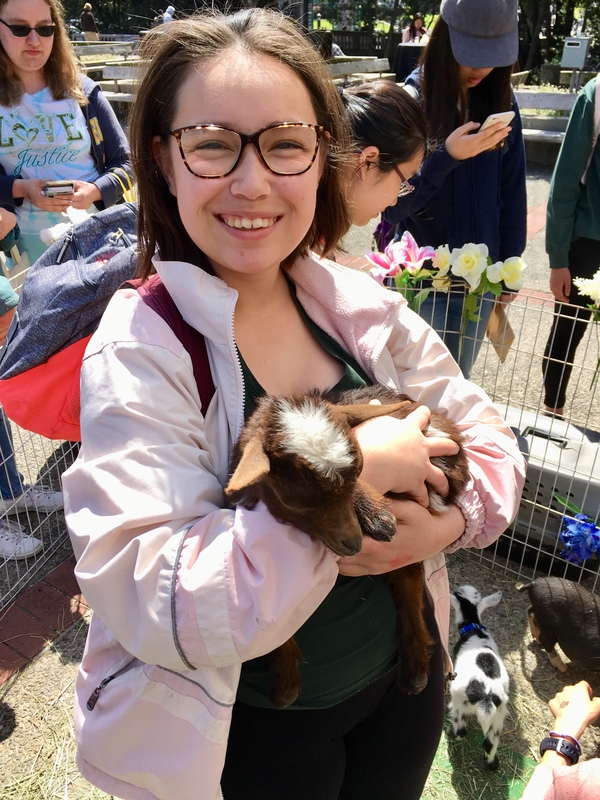 An event in the Great Hall, activities put on by kind Resident Assistants, or even groups going out to explore the cities of Berkeley and San Francisco are a daily occurrence. Plus, I-House makes it easy to grab discounted tickets for basketball games, trips to Alcatraz, and more. Sometimes you just want to be a homebody, you know? A hot chocolate from the dining hall, paired with some board games from the front desk, while sitting next to the Great Hall fireplace, is one of my personal favorite ways to spend an evening indoors. Every time friends visit, they exclaim, “You live at a Spanish Hogwarts!”. The architecture and interior design of I-House is beautiful, and I’m always proud to show off the intricate ceilings and historic character of the building. I’m not just talking about the mushroom ravioli and breakfast burritos that are offered throughout the semester, although those are definitely delicious. When celebrations like Cinco de Mayo and Diwali roll up, the staff at I-House make a sincere effort to offer themed meals that everyone can enjoy. At I-House, there are almost 600 residents from all around the world, and it’s normal to feel overwhelmed. The Wednesday coffee hours, weekly yoga classes, etc. are simple ways to see people, and even at the library or cafe, you can meet amazing strangers. Below are just a few different cultural holidays we celebrated in the fall semester. Loyalty Traster-Lee is currently a senior at UC Berkeley majoring in anthropology. She was born and raised in Long Beach, California, but has traveled extensively, including attending kindergarten in Singapore, volunteering with the Lions Club in Germany, and studying abroad in England. Loyalty’s favorite Berkeley sights include the Botanical Gardens and the Phoebe A. Hearst Museum of Anthropology, which, for the record, are both within walking distance of each other and free with student identification. Her favorite thing about living at I-House is the view from the cafe, although the easy access to hot chocolate is a close contender. This entry was posted in Life at I-House and tagged Friendship, fun, I-House Life. Bookmark the permalink.